Skill Level: Easy To Assemble Glue, Single piece fins, Pre-colored. The Gnome is another in our series of E2X (Easy to Assemble) kits and features a single piece, chrome wrapped body tube, a bright blue pre-colored one piece fin unit, nose cone and upper launch lug ring. 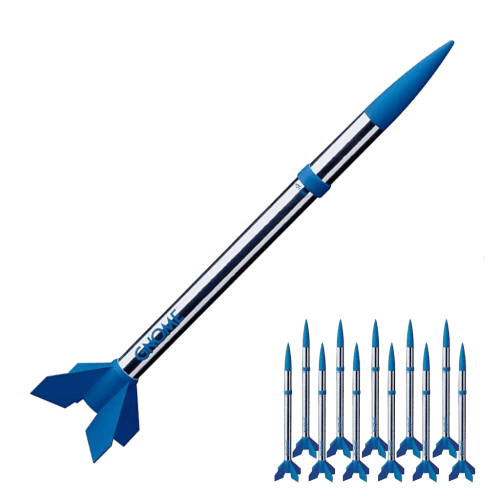 The rocket takes about 30 minutes to build and is finished off with a colorful, easy to apply self-stick decal.